I recently took a trip down to San Diego with Karafina for her nephew Maxton's 2nd birthday party. 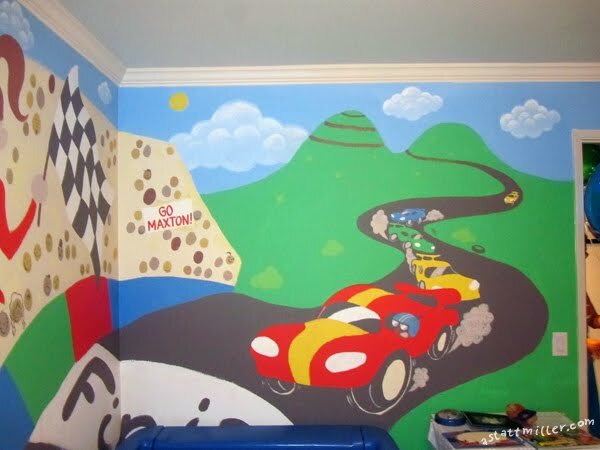 While we were there we painted a mural in his room! 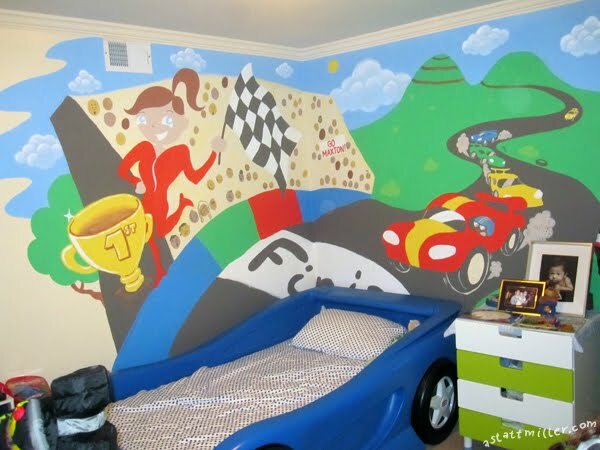 He has a racecar bed (lucky)so we tied it into the wall, his car winning the race of course. 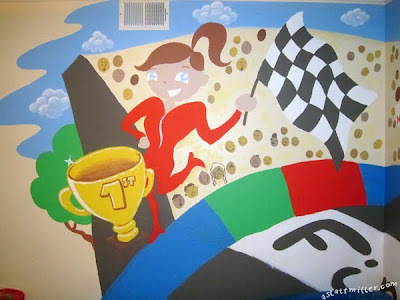 We stayed up til 6am the night before the party finishing it!